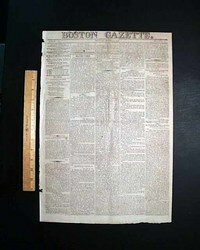 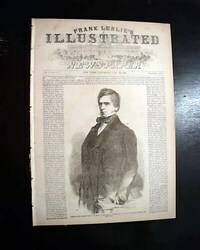 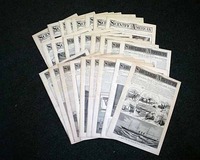 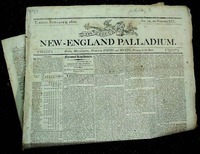 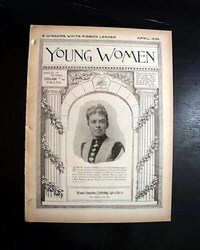 A nice mini-collection of early American newspapers totaling fifteen issues including nine different titles, dates ranging from 1800 thru 1811. 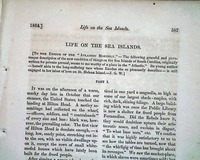 All are complete, mostly 4 pages each, minimal margin wear, some foxing, generally all in good condition. 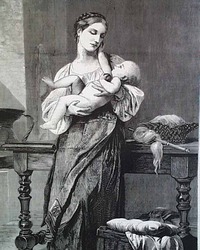 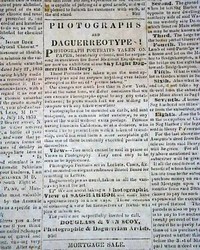 See the photos for the titles. 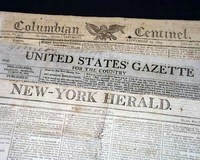 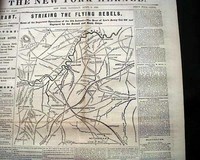 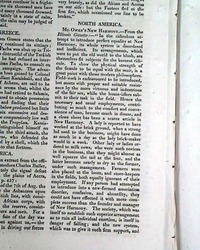 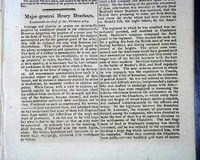 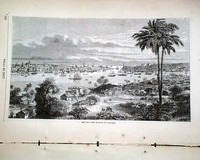 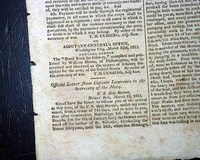 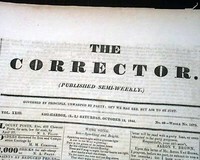 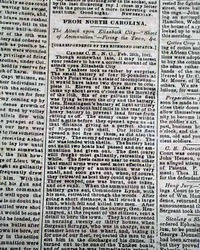 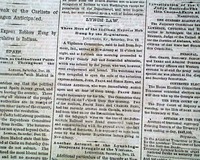 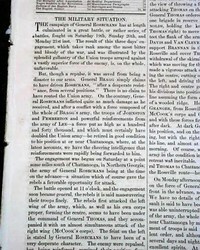 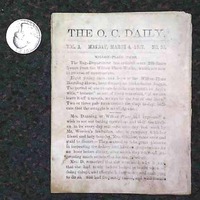 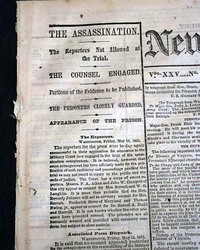 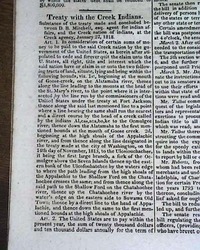 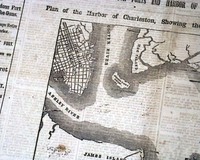 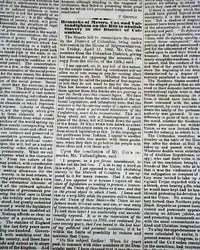 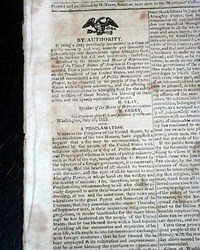 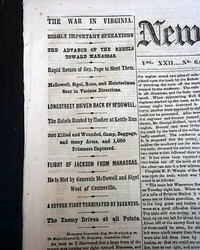 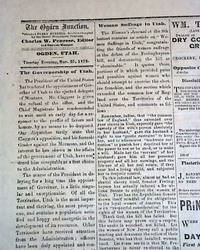 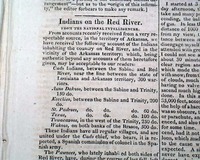 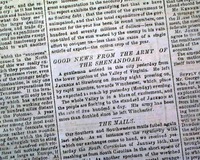 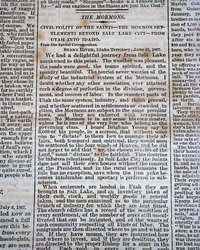 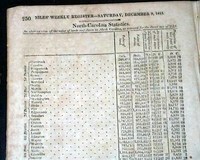 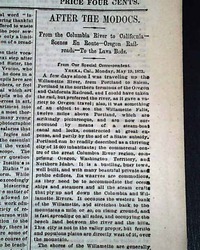 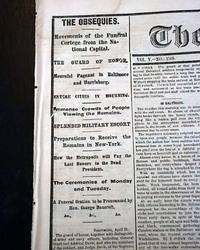 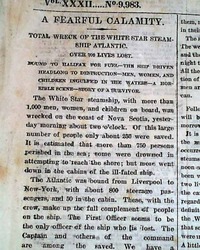 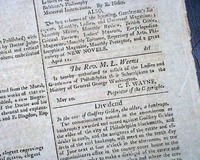 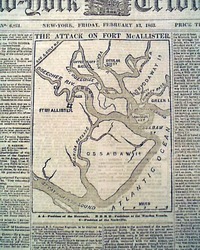 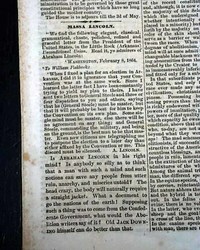 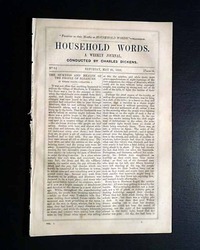 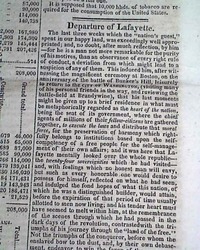 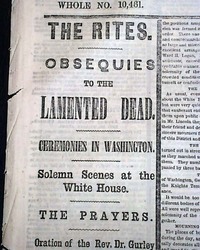 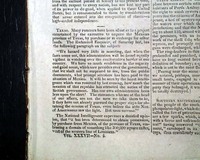 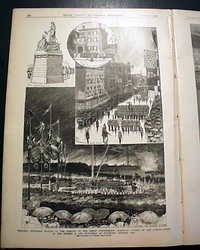 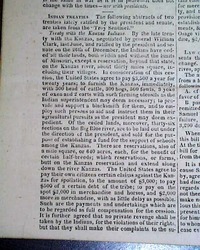 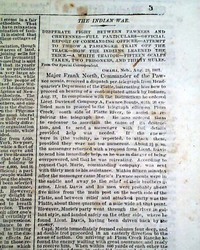 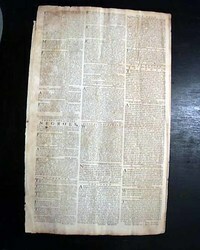 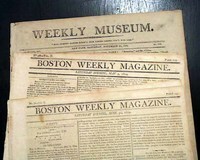 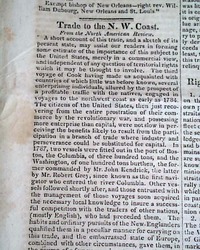 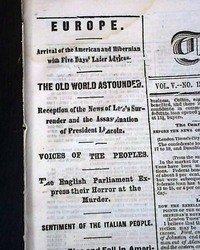 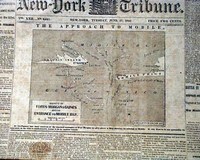 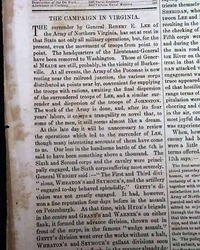 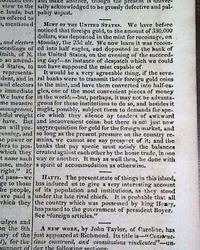 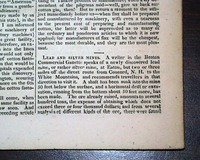 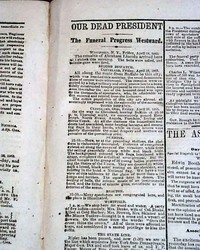 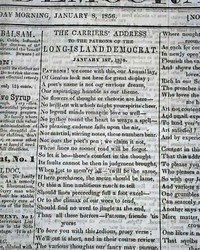 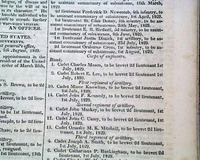 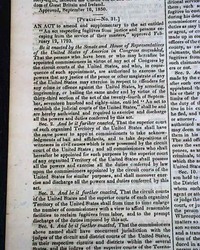 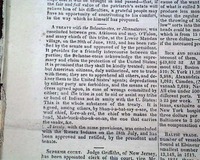 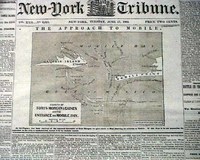 THE WAR, New York, April 6, 1813 Over two-thirds of the front page is taken up with: "Official Letter from Capt. 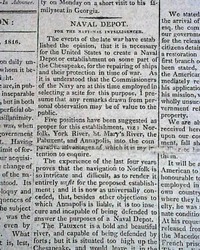 Lawrence to the Secretary of the Navy" from on board the U.S.S. 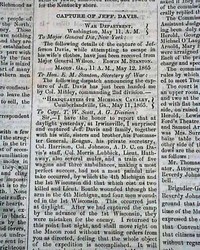 Hornet. 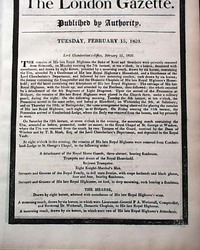 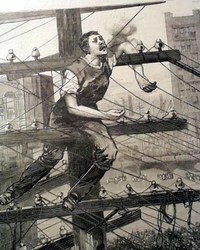 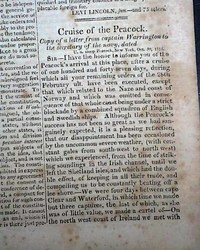 This is his detailed account of his victory over the British ship Peacock, signed: James Lawrence. 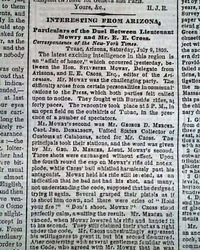 Also on the ftpg: "Naval Honors" celebrating the Hornet's victory over the Peacock. 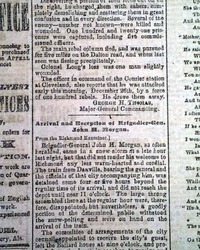 DAILY COLUMBUS ENQUIRER, Georgia, Oct. 31, 1862 Certainly one of the less common Confederate titles from the Civil War. 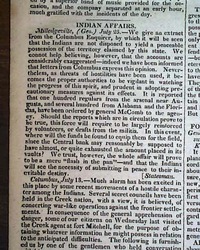 Columbus is in Southwest Georgia on the Alabama border very near Montgomery. 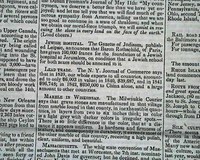 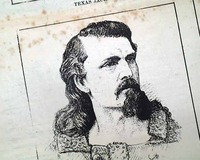 BOSTON DAILY ADVERTISER, Oct.1, 1863 It's always great to find news or advertisement tidbits about historic figures long before their names would draw national or international attention. 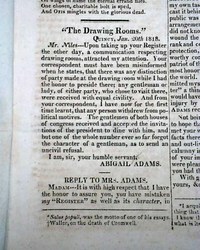 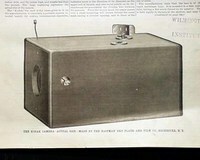 Here is a great example. 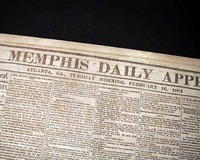 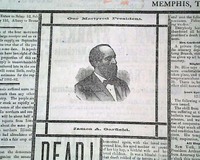 THE MEMPHIS DAILY APPEAL, Atlanta, Georgia, Feb. 16, 1864 If the title and city of publication seem to be in conflict, they are not. 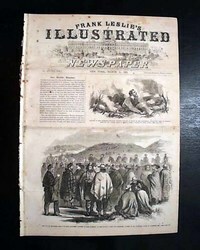 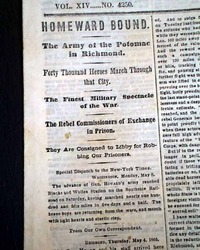 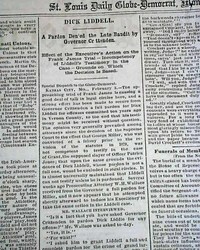 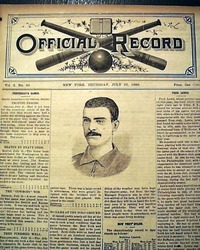 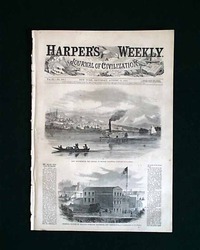 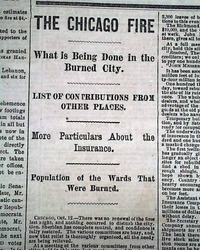 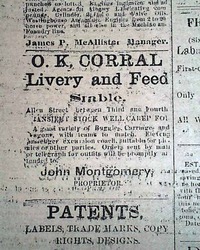 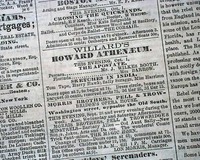 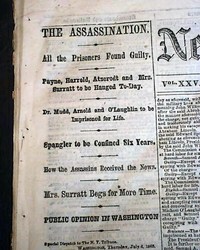 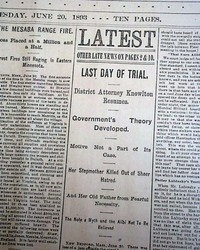 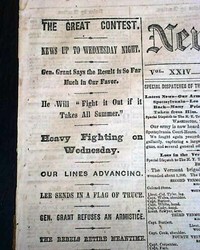 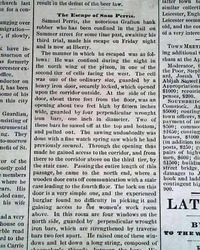 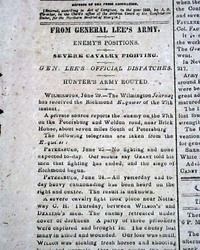 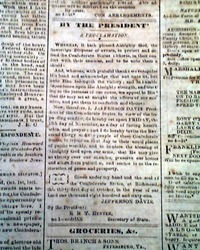 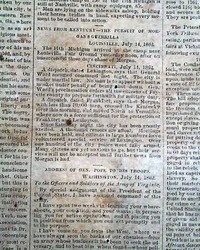 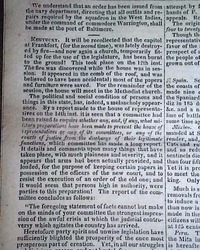 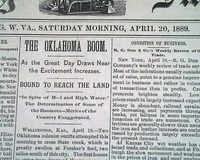 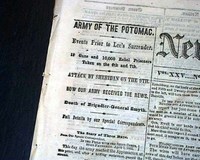 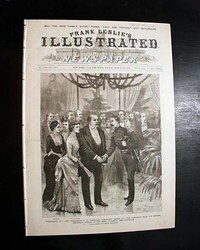 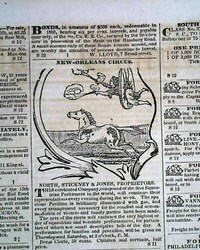 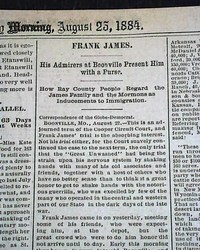 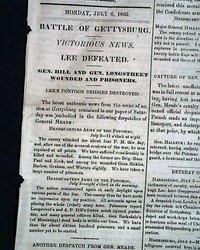 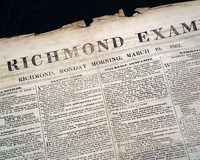 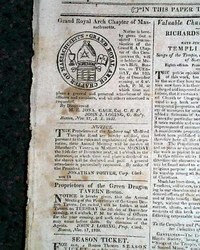 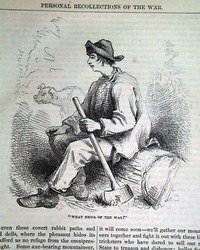 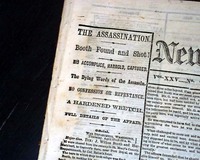 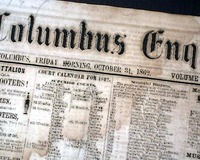 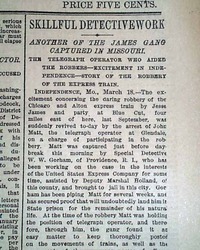 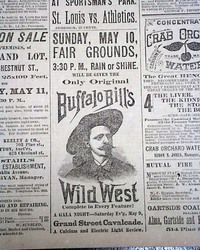 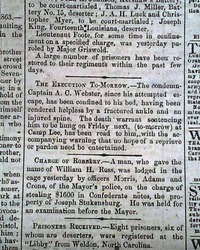 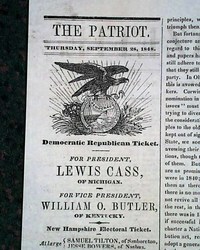 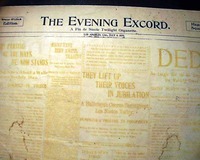 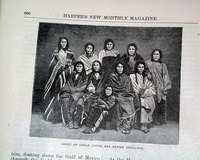 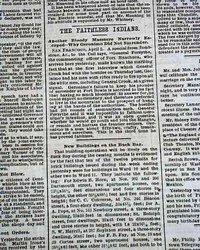 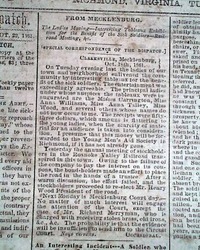 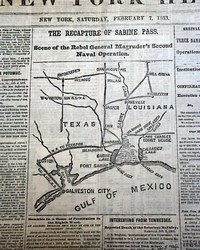 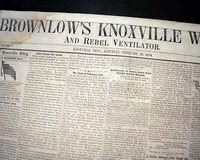 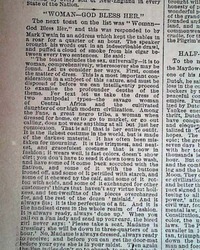 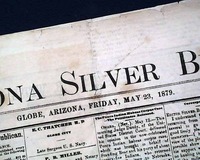 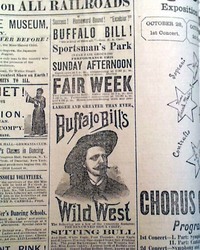 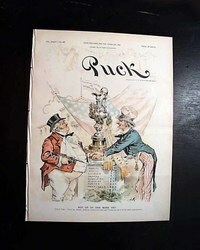 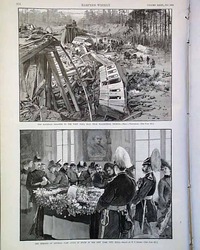 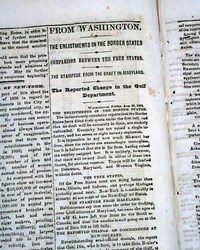 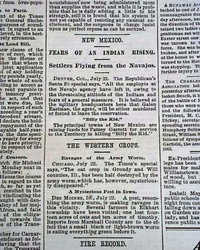 This newspaper had a fascinating history during the Civil War. 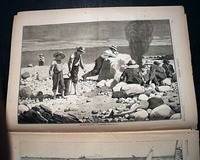 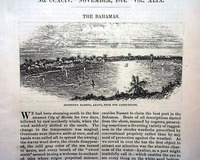 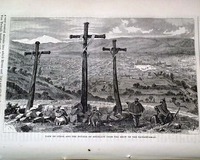 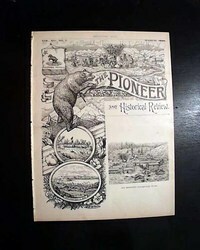 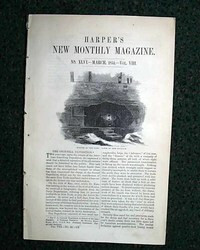 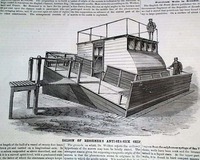 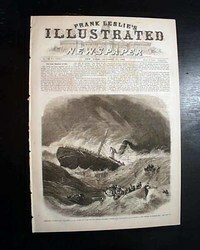 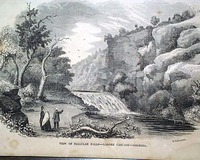 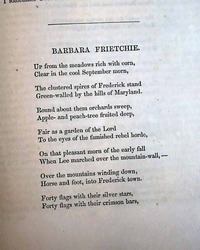 THE ATLANTIC MONTHLY, New York, May & June, 1864 This two-issue set contains multi-page accounts of both a visit to Yosemite (now Yosemite National Park) and St. Helena Island and other small islands off the South Carolina coast. 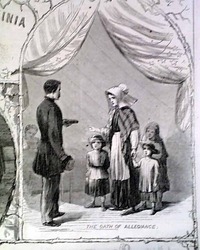 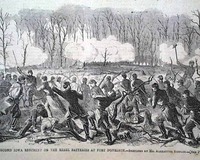 among the first victories of the north which provided for the earliest emancipation of American slaves. 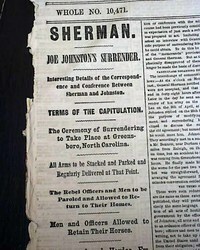 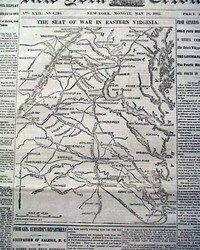 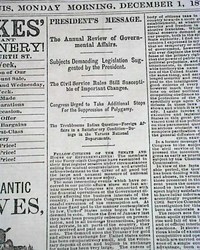 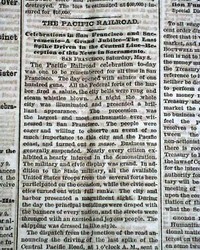 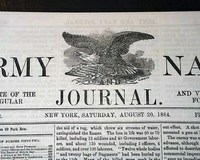 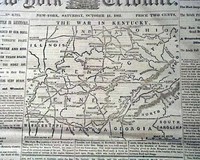 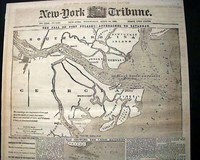 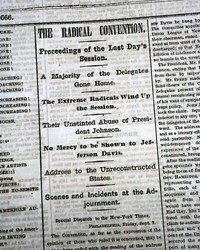 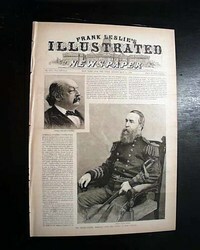 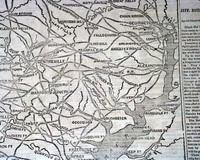 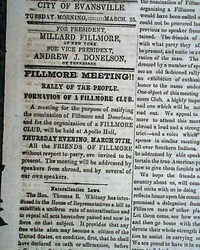 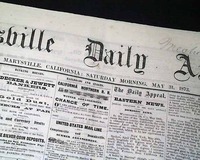 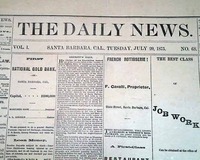 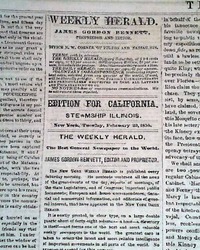 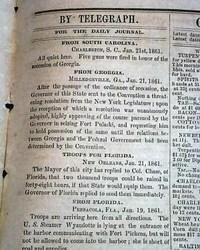 NEW YORK TRIBUNE, April 29, 1865 First column heads announce: "NORTH CAROLINA" "Surrender Of Gen. Johnston" "The Same Terms Accorded as Were Granted to Lee" "All the Rebel Forces from Raleigh to the Chattahoochie Included: "
SCIENTIFIC AMERICAN, New York, Sept. 15, 1888 The front page has an informative article headed "Instantaneous Photography" which includes a nice 3 1/2 by 7 1/2 inch illustration of the "Kodak Camera Shutter" and another illustration of this box-style camera: "The Kodak Camera--Actual Size--Made By The Eastman Dry Plate And Film Company, Rochester, N.Y."